Naira Kuzmich was born in Armenia and raised in the Los Angeles enclave of Little Armenia. Her nonfiction is published in the Threepenny Review, Cincinnati Review, Massachusetts Review, and Guernica. Her recent fiction can be found in The O. Henry Prize Stories 2015. 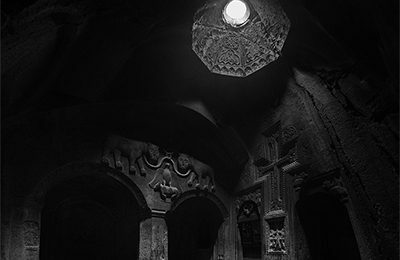 Visiting with her family in her mother’s homeland of Armenia, an essayist ventures to a Christian monastery and a pagan temple, searching for her heritage among cross-stones and fish-dragons.